The Project Spectrum color for June is green. In addition to finishing my Citron (Rav link), I’m hoping to really dive in and make significant progress on this collection of designs. Where are you seeing green today? This entry was posted in knitting and tagged crochet, fiber arts, fiber arts friday, green, Project Spectrum, yarn. Bookmark the permalink. The variation of texture and color is fun in that photo. Nice shades of green. 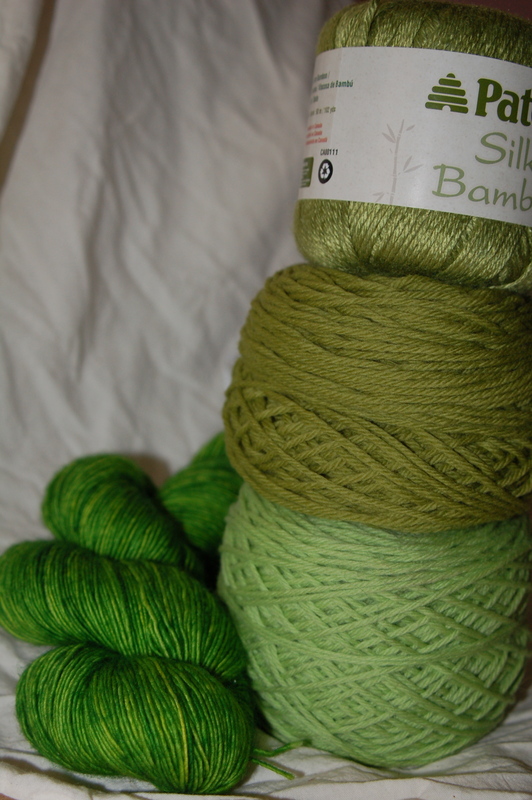 The bamboo/silk skein is gorgeous. Oh wow, I adore those together. I love green. What a great combination for summer!